Discuss how to show respect for parents. The players will be divided into groups. The group will have 2 cones in front of them. 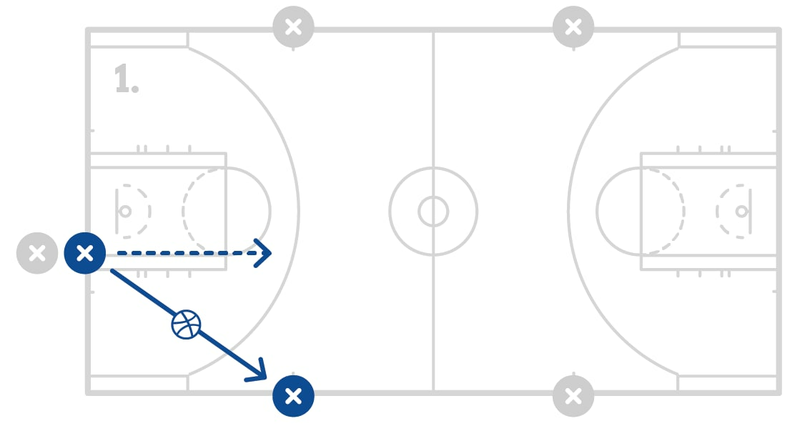 The players will dribble to the first cone and will make any creative dribble move at the cone. 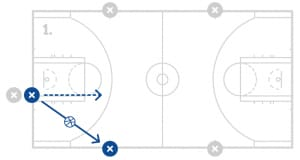 The players will then dribble to the next cone and make any creative dribble move at the cone. 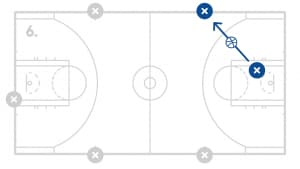 After the second cone, the players will dribble out and shoot. The players can work on fun creative moves with no pressure. 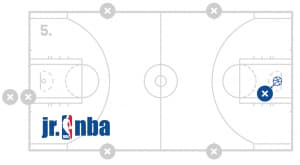 Divide the players into two or more group lines and have each group at a designated shooting spot on the court. The group lines will operate as a team and keep their score together. 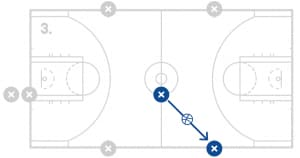 The players will shoot one time, get their rebound, give it to the next player and return to the back of the same line. Continue this drill until one team makes the designated number of shots. Then switch spots and repeat. Have the players count the makes out loud for all teams to hear. Encourage the players to cheer for their teammates and utilize the shooting form they have worked on. 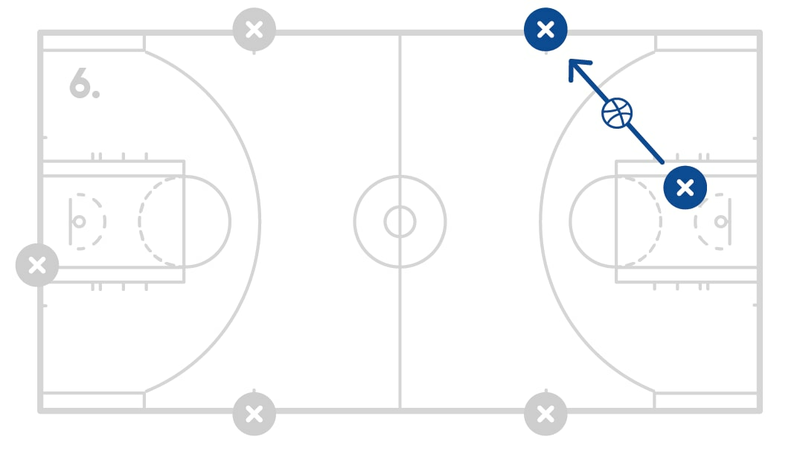 Divide the players into 2 even groups with 1 group on both sidelines without a basketball. Have the other group start with a basketball on the baseline. 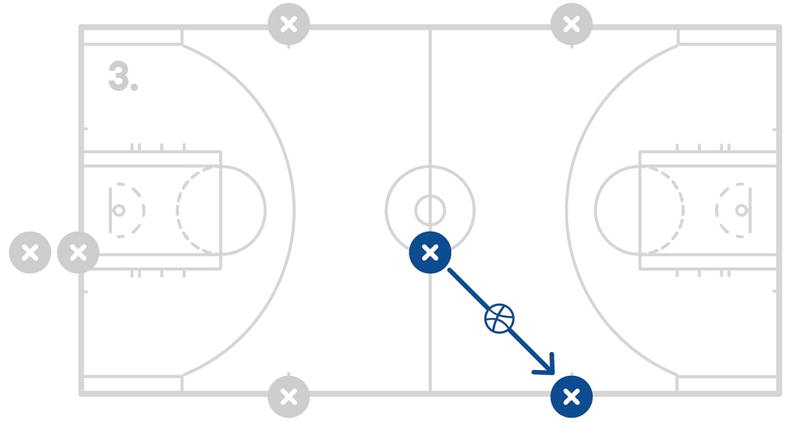 The player with the basketball will pass the ball and receive the ball back from each of the players lined up on the sideline. 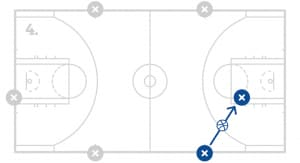 After they have made and received a pass from the last player, the player will dribble the ball to the basket for a lay-up. 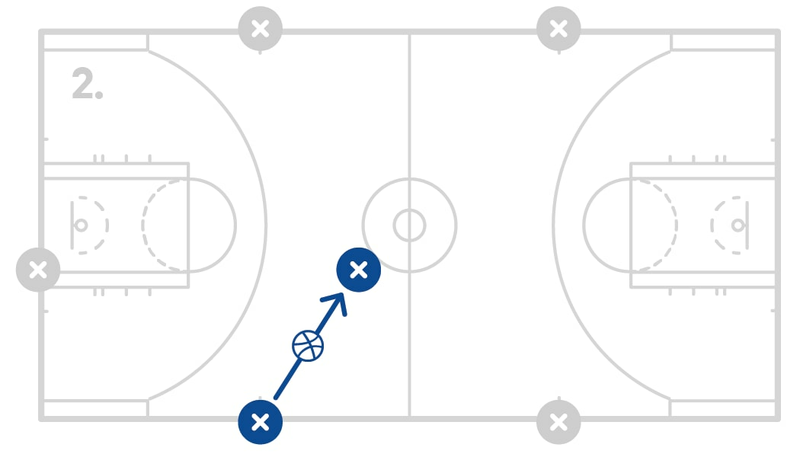 After the lay-up, the player will get their rebound and continue by coming up the other side of the court. This process will continue for 3 minutes. Count how many lay-ups that team makes in 3 minutes before switching the groups. 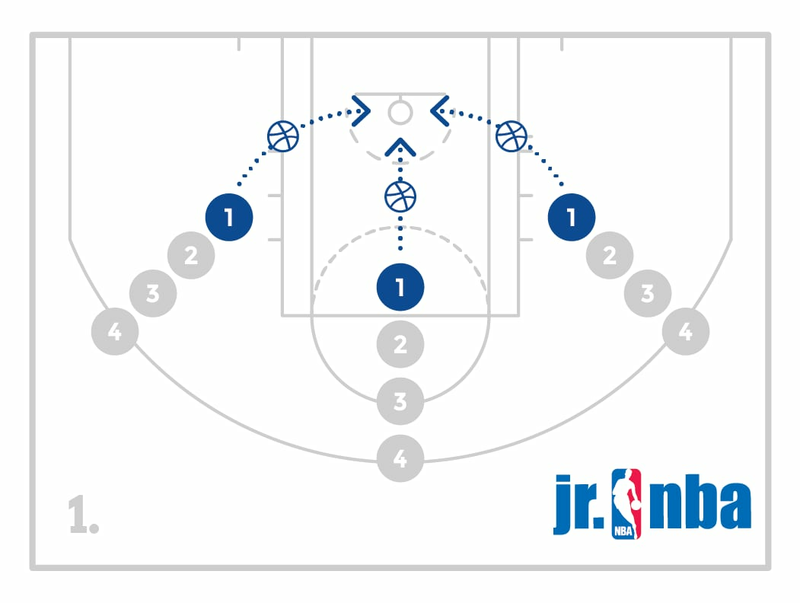 Assign 2 players to each number and have everybody stand on the baseline. Throw the ball on the court and call out a number. The 2 players with that number will go for the ball and whoever gets the ball will be on offense and the other on defense for 1 possession and 1 shot of 1 on 1. Evenly mix up the numbers you call and the game is over when any player gets to 5 points playing by 1’s. 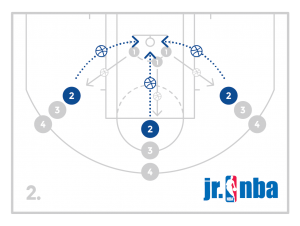 Encourage the players to hustle to the ball and make efficient offensive moves to score. 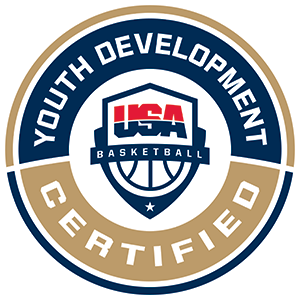 Also encourage the defensive player to move their feet and play active defense.